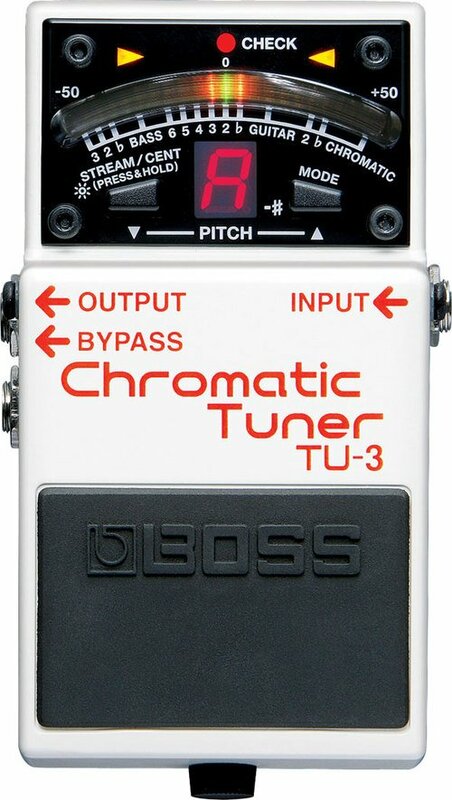 Show of hands, who has never heard of a BOSS TU-2 tuner? Yeah, you know the ruggedness, the accuracy, you’ve come to depend on that tuner. Well good news, because it just got better. The BOSS TU-3 tuner is all that pedal was and more. You get the accuracy, to +/- one cent. But you also get a new, brighter display, enough to tame any outdoor gig. You get bass and guitar options, like the ability to show note names or string numbers, and if you tend to tune down (looking your way, metal heads), how about 6 half steps below standard? Your only worry will be hitting the right notes, because your guitar will be in tune. 2-7/8 x 5-1/8 x 2-3/8"